Depending on your profession and where you live, you might not get hired. Don’t even think about applying at UMass Memorial Marlborough Hospital, WellSpan Health in Pennsylvania and Maryland, or Cleveland Clinic and The MetroHealth System in Ohio if you are in healthcare and smoke. These are just a few organizations that can legally refuse to hire workers who use tobacco. Not only that, but applicants may be subject to a pre-employment urine test to detect nicotine and other substances. Those who smoke, even after hours, won’t get the job. You might be asking, how is this legal? I thought discrimination was against the law! The truth is that it is, and it isn’t. According to the legal website, NOLO.com: “Massachusetts [along with 21 other states] does not have a law protecting smokers from discrimination, nor does it have a law protecting employees from discipline or discharge based on their off-duty conduct generally.” And smokers are not a federally-protected class, according to the U.S. Equal Employment Opportunity Commission, meaning that if a hiring manager smells a whiff of Camel on you, they may be entitled to round file your resume. But not all employers can reject candidates because of their habits. 29 states, including California, protect applicants from discrimination for so-called “lifestyle behaviors,” with some exceptions for healthcare organizations. So, if smoke breaks are non-negotiable, consider looking for a job in a smoker-friendly state. If you feel that lighting up is your right, know that tobacco-free workplace hiring practices are the new trend. U.S. News recently reported that in Indiana, an alliance of employers and state leaders are pushing to eliminate smoker-protection laws. In most states, smoking is already prohibited in most government buildings, private workplaces, schools, child and healthcare facilities, restaurants, and bars (American Lung Association). Only 14 states have not enacted cigarette bans in all workplaces, bars, and restaurants. Alongside healthcare, city, and county offices, police departments and other public agencies, sensitive to rising medical costs, are implementing nicotine-free hiring. Others are opting for cessation programs for new talent. As you can see, this isn’t an issue that will disappear in a wisp of smoke, so what is behind this tobacco-free hiring trend? Your Cig Break Isn’t Cheap! As with many issues today, social pressure, driven by economic considerations, is boosting nicotine-free popularity. Nothing is a bigger catalyst for legislative change than a public health crisis. 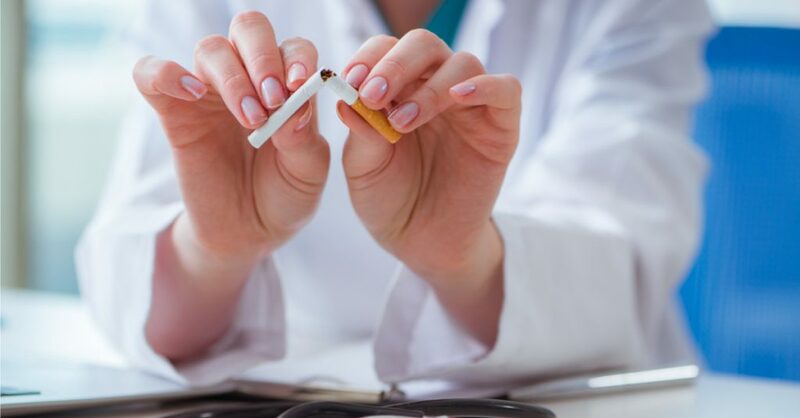 Rising medical costs borne by individuals, organizations, health insurers, and state and federal agencies–paired with higher absenteeism and lost worker productivity for businesses–lend support to hiring practices that many smokers view as a denial of personal choice. However, cigarette users should understand that choosing to light up affects everyone, apart from the health-damaging effects of clouds of second-hand smoke. An ANRF report cites an average annual business expense of $3,391 per smoker for medical expenditures and lost productivity, a national cost of $170 billion for medical, $156 billion in lost productivity, and $5.6 billion in secondhand smoke exposure (CDC, 2015-2016 data). Medicare and Medicaid taxes attributed to smoking-related diseases increase taxes for everyone. Besides costs, productivity suffers. And all those lengthy cigarette breaks really annoy the non-smokers in the office! If you are thinking that shrinking job opportunities might just be one more reason to quit, you aren’t alone. 70% of people who smoke wish they could stop, according to a CDC report, which also states that “smoke-free policies have been shown to increase smoking cessation” (“Quitting Smoking Among Adults, 2011). When job hunting, look for companies with stellar wellness programs. Companies that emphasize worker health, offer plans that may include smoking cessation, stress and weight management, and gym membership discounts. Find out if your company has an employee assistance program (EAP) that offers free short-term counseling and resources to help you stay on track. 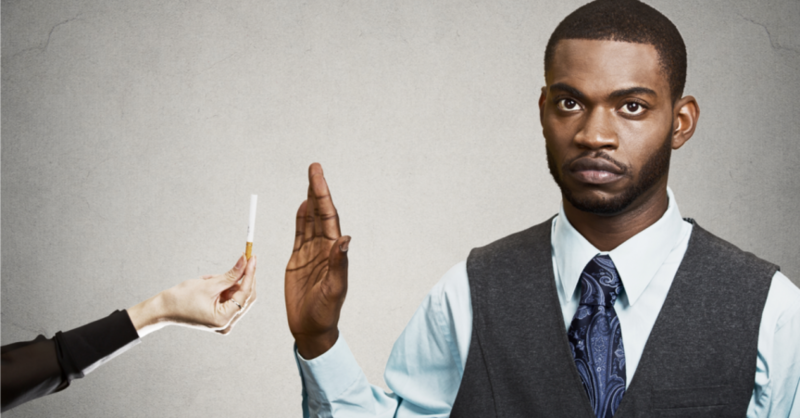 If your company offers health insurance benefits, check into smoking-cessation programs. Often these are free or low-cost. Know that for every cigarette you don’t smoke, you are making an immediate contribution to your health. Soon after quitting, you should experience a lower heart rate, which will help you better cope with the stresses of any job. The absence of carbon monoxide and other chemicals in your bloodstream helps with energy and mental clarity. Best of all, your chances of dropping dead of a heart attack in the middle of a presentation will decrease 50% one year after quitting! Check state and local laws and the hiring company’s employment web pages for statements such as “nicotine-free hiring policies in place” and “smoke-free workplace,” before wasting your time applying. Know the rights and responsibilities in your state. Organizations like Workplace Fairness.org and Citizens for Tobacco Rights, supported by cigarette manufacturer Philip Morris USA, keep up with current events related to employment issues. If you are a smoker, nicotine-free workplaces are one more reason to quit. Organizations like the American Lung Association, the American Heart Association, and UMass Memorial Marlborough Hospital are not setting up smoke screens; reinforcing a culture of wellness makes economic sense and helps every worker reach their full potential with optimal health.